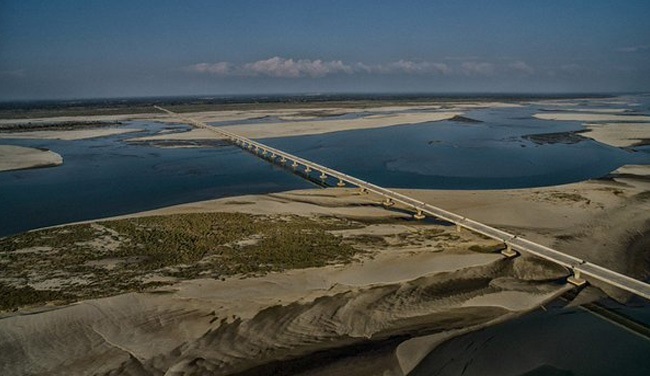 Dhola Sadiya Bridge on Lohit river is the longest road bridge in India, located on the Brahmaputra river in Assam connect the states of Assam and Arunachal Pradesh. The 9.15 kilometres long road bridge will be inaugurated by Hon’ble prime minister of India Shri Narendra Modi on 26th May 2017. A bridge over the river The Ganges “The Holiest River” is the longest river bridge in India. Gandhi Setu is 5.575KM long and is one of the longest single river bridges in the world, which connects Patna with Hajipur,Bihar. 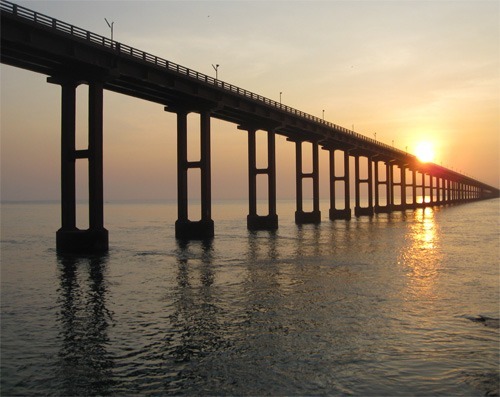 Pamban Bridge is India’s first sea bridge.It is the second longest sea bridge in India, after Bandra-worli sea link. It connects the Rameshwaram Island with the mainland of India. The Bandra-worli sea link is a hanging cable-stayed, 8 lanes bridge which gives a huge relief form traffic for the Mumbaikars. 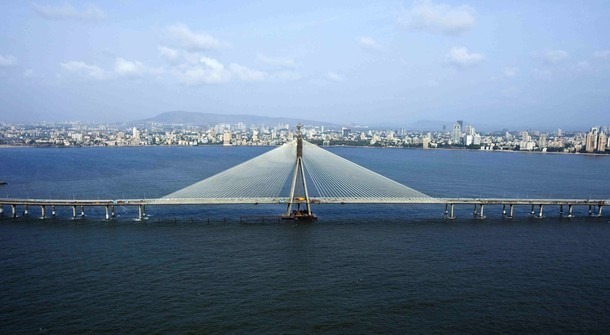 A new landmark of Mumbai, Bandra-worli Bridge is India’s Biggest Sea Link Bridge and India’s very own golden gate. Howrah Bridge on the Hoogly River, Calcutta is the largest cantilever bridge in India. 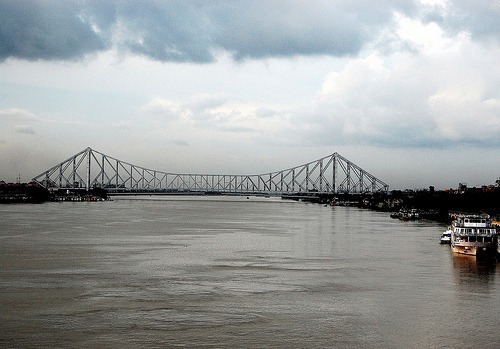 The Howrah Bridge, which connects the twin cities of Kolkata and Howrah. 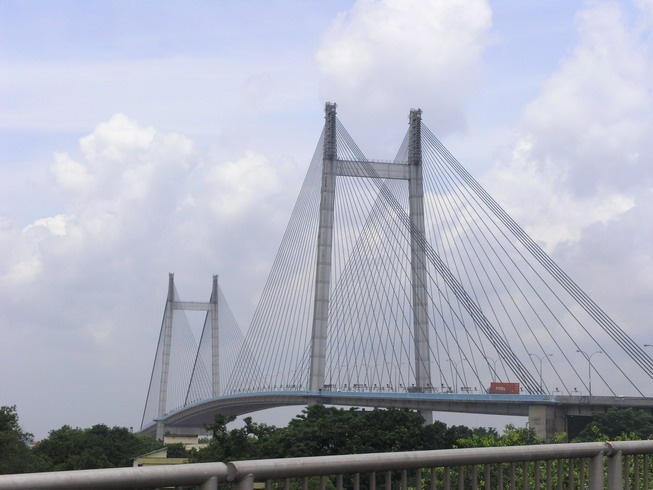 Vidyasagar Setu, popularly known as the second Hooghly Bridge. 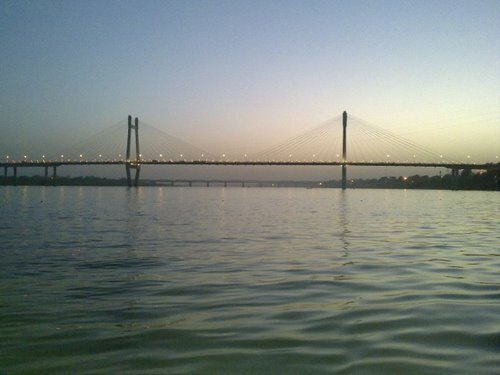 It is a cable bridge, made over Hooghly River Calcutta. Vidyasagar setu is one of the longest bridges of its type in India and one of the longest in Asia as well. Narmada Bridge is one of the longest bridge in Gujarat. It’s a balanced cantilever type bridge connecting link between Ankleshwar to Bharuch. The bridge also known as The Golden Bridge build across the holy river Narmada. The Naini Bridge over Yamuna River is another marvel in India. Naini Bridge is one of the largest cable-stayed bridges in India, which connects Allahabad with Naini across Yamuna River. 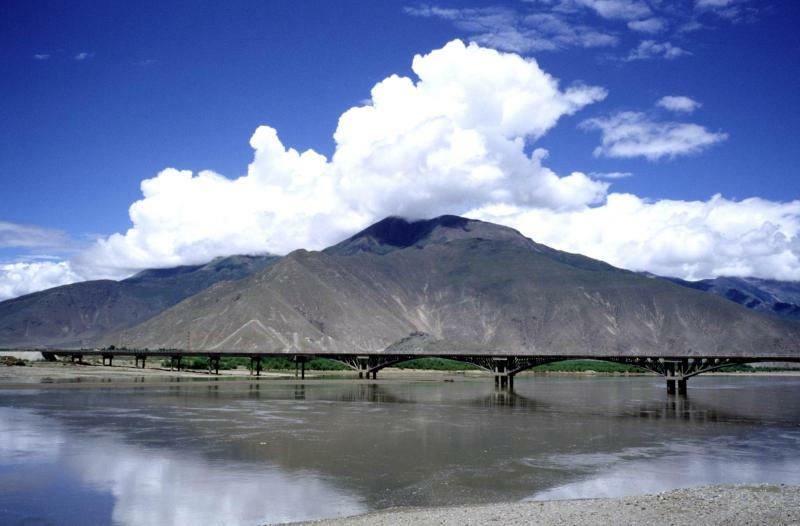 Its a Cantilever type bridge and a longest one over the Brahmaputra River in Assam. A drive over the Brahmaputra Bridge along the Assam Valley to the Kaziranga National Park is most enjoyable ride. Jadukata Bridge is the longest span cantilever bridge in India. 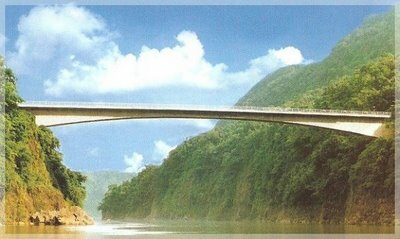 Jadukata Bridge, Meghalaya listed as one of the most beautiful bridges in the world. 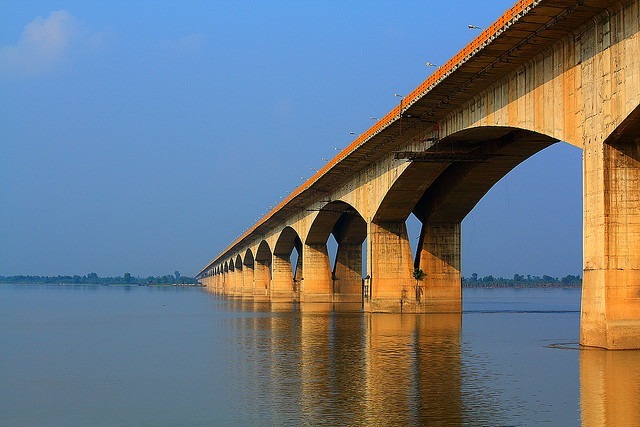 The jawahar setu is across the Sone River, between Dehri-on-Son and Son Nagar, in the Indian state of Bihar. 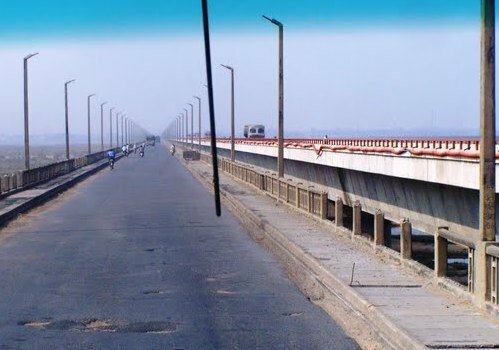 The 3 Km long road bridge carries the Grand Trunk Road/ NH 2. There is a second longest railway bridge runs parallel to the road bridge is called Nehru Setu. There are so many more big and outstanding road and rail bridges such as Vikramshila Setu,Vashi Bridge, Mahanadi Bridge, the longest rail bridge in India “Vembanad Rail Bridge” and under construction tallest bridge in the world Chenab Bridge in Kashmir. This bridge is located in Ahmedabad and features a bowstring arch truss design. It is 480 meters long and 6.3 meters wide. 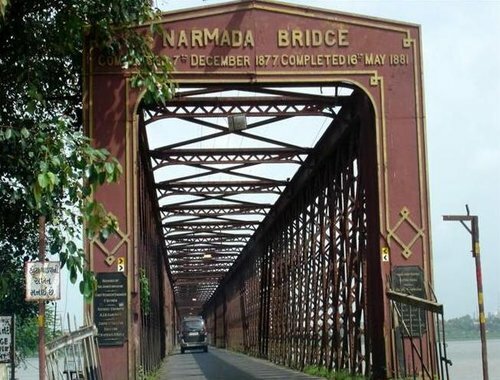 This bridge is 120 years old and, having been featured in a few films, is truly an iconic landmark in Ahmedabad. If you want to see this bridge and experience the history for yourself, then don’t hesitate to look at your travel options online. It only takes a few minutes to reserve a nice hotel room in Ahmedabad, and it will give you a nice opportunity to see the Swami Vivekananda Bridge for yourself.